Mommy Jane and Little Angels had joined the launched of NoHoo Kids' brand bag at The Parenthood, Sunway Pyramid last weekend. When we reached the outlet, we were amaze with the unique and colourful design based on different themes and characters which were my Little Angels' favourite. As you can see from the video, with more than 40 designs, NoHoo aims to be the No. 1 kid's bag provider by continuously improving to serve our next generation. NoHoo had a wide range of kid's bag with unique and colourful designs based on different themes and characters that are my Little Angels' favourites. 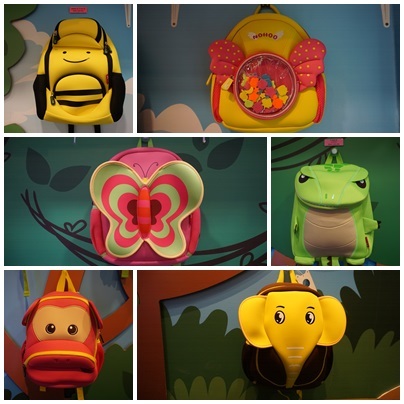 The objective is to create happiness, fun and safe bags for all the kids. Please be assured that the material of the bag is safe for your Kids coz' it is certified by World Safety & Health organisation. NoHoo bag has 3 different themes. It is not just a backpack but it is also a lifestyle. Our Kids will learn to take responsibility of their ownership once they treat their as as their Buddy. I believe Kids ages from 2 years and above could take good care and keep all their needs like clothes, water bottles and toys inside the bag. My Little Angel, WJ loves his new bag so much since he love the Cartoon "Cars" that we had watched it last month. The bag he was holding was price at RM129. Mommy Jane had reviewed the NoHoo bag and love the quality of the bag. All its bags come with life time Warranty which includes strap, zip and buckles. The bag might looks small from outside but it is indeed spacious inside where we could put lots of things in it and there are front pocket to put my Little Angels' clothes if you wish to separate it out. NoHoo kids backpack is made of eco-friendly and high quality neoprene material to create a vivid childhood for Kids. The shoulder strap could be effectively reduce the stress on kids shoulder. The bags are durable, light and ergonomic. No more heavy bags that might affect their spine when they grow up. 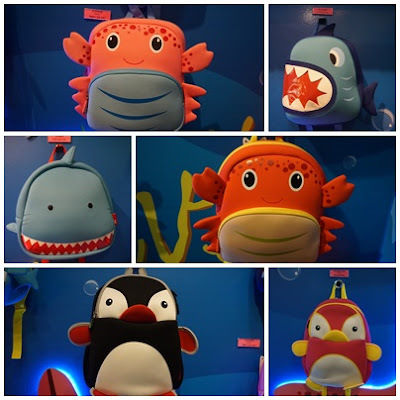 NoHoo kids bag price starting from RM99 to RM149 only. It is now available at The Parenthood, Sunway Pyramid. If you're interestd to get one of the cute little bag for your toddler, do put the unique code "janelovesnohoo" at their website at www.nohoo2u.com for RM10 discount which applicable to all the designs of the NoHoo bags. Do make your purchase at their website to be entitle for the discount. Do check out their facebook page at www.facebook.com/nohoo2u for latest information. My Little Angel, WJ loves his Car design bag so much. Where ever he go, he will brings his bag along to put his favourite toys and Mommy Jane will add his bottles, books and clothes it it. With the lifetime Warranty, no worries that the bag will spoilt easily and consider a good bargaining for long term investment. Do get the cute little bags and remember to put the unique code "janelovesnohoo" at their website at www.nohoo2u.com for RM10 discount for all the bags. The bag's zippers are great and child-friendly. Melissa, with lifetime warranty too. Helps us to save more in tbe long term. Such beautiful designs - now I have to find 4 for all my lil' ones too. Rawlins, remember to use my discount code to save RM10 for every bag purchased. WOw.. this is really comel. I will get one for my niece. Aaron, I'm sure your niece will love this. Ruby, betul. With this bag, we can teach them to be independent instead. Hanis, indeed cute. Good investment in long term with their lifetime warranty. Yanmie, remember to use my discount code for RM10 discount.